At a recent Commonwealth Club event author Josh Kendall talked about his eponymous book on American obsessives and the seven builders-&-shakers on whom his spotlight shines. It is a spotlight of ambivalence. 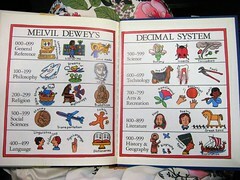 Kendall is talking about the likes of Melvil Dewey (who thought so obsessively in ten’s that we can now thank him for the Dewey decimal system, libraries, things like that.) Or Steve Jobs, who was prone to call in the scrubbers if a speck of dirt got on his white floors — but meanwhile was busy creating technological wonders. Or Charles Lindbergh, famous aviator and serial womanizer. The talk made me feel a little better about the less famous among us. Being mildly obsessed with reproductive rights myself, I am inexpressibly grateful for the likes of Gloria Steinem, or Cecile Richards or Terry O’Neill. But investing one’s gifts and energies in a cause seems to be far less hazardous — to oneself as well as loved ones and everybody else — than the traditional path of the obsessive super-achiever. You can obsess about a cause or a project and still be a great parent or a welcome dinner guest; once you get to the level of OCPD evidenced by Kendall’s subjects — who make for a fascinating book, by the way — you’re making a mark on history, but driving your families and friends nuts. In other words, obsessives create a lot of good stuff but you probably don’t want to marry one. Thank you for those thoughts, Beth, and I’m sorry for your losses. I had several miscarriages myself and know how devastating that can be. My abortion was much earlier, in very difficult and unfortunate circumstances (perhaps you’ll read my book, my story is in it) and had I not been able to terminate that pregnancy I would never have had my greatly beloved children and mourned those miscarriages. Of course, I did not (and do not) equate an embryo or non-viable fetus with life. But I don’t claim that my faith is right or yours is wrong in how we see the beginning of life. I simply know from my own experience, and that of hundreds and hundreds of women who have shared stories with me, that every abortion in complex, personal and unique to the woman involved. I want to be clear about the fact that I am not “pro-abortion.” I would like to see it never happen. I’m sad for your friend, and hope she will be able to welcome a child into her life. Unfortunately, not every unwanted pregnancy involves a fetus that would become an adoptable, wanted child. Many would be born drug addicted or severely flawed in ways that would make their adoption unlikely. Meanwhile, I hope we can honor each others’ beliefs and try to find ways to work together on things we do agree on — keeping unintended pregnancies from happening, promoting good health, building strong families. If we can find ways to understand and respect each others’ views it is my hope that some solution other than criminalizing abortion again can be found, because I am too familiar with how terrible those days were for women.